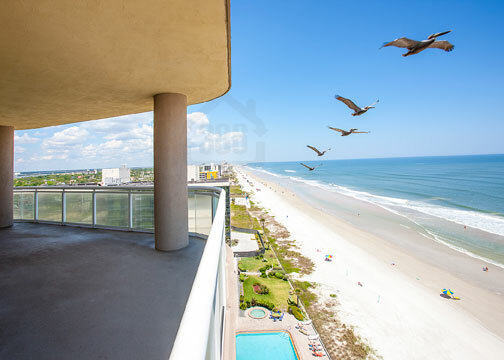 Kevin Kling has just sold another luxurious Daytona Beach Shores condo. Ocean Vistas #1004 sold for an impressive $790,000, offering three bedrooms, three bathrooms and nearly 2,600 square feet of lavish living space. This oceanfront condo provides breathtaking beach views and will certainly raise the bar on any standard of living. At Ocean Vistas, residents enjoy a world-class lifestyle bolstered by a palatial pool and spa area, state-of-the-art fitness facility, and opulent owner's clubhouse. When considering buying a Daytona Beach Shores condo, Ocean Vistas is one of the most luxurious and desirable options in the area. Call Kevin today (386)527-8577 for all of your Daytona Beach Shores condo needs.